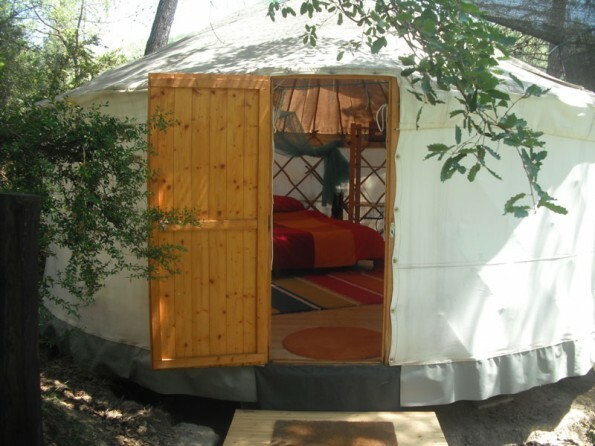 Hidden in beautiful woodland and powered by solar energy, this charming craftsman-built Uzbeki yurt offers the perfect setting for a tranquil, low-impact holiday. 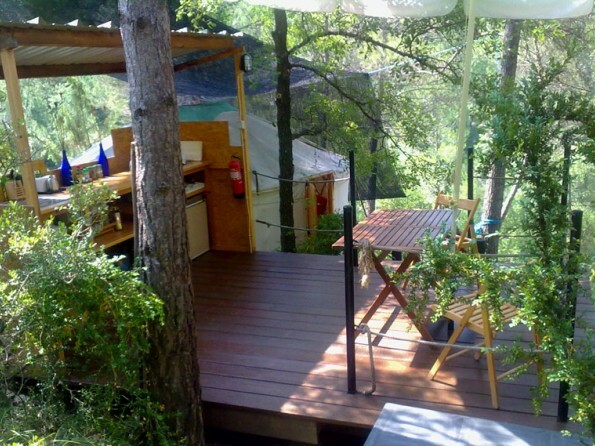 It’s the perfect way to experience the Spanish Pyrenees. 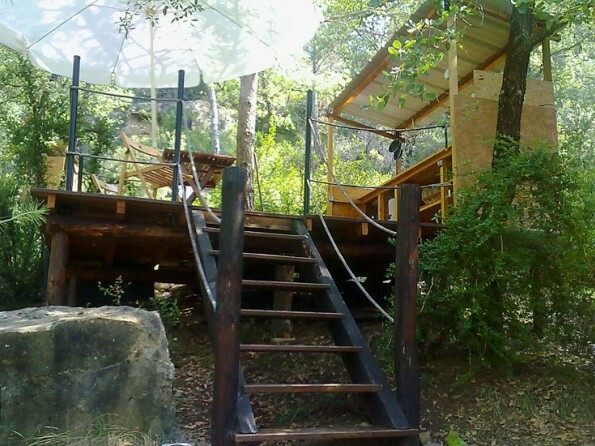 If you’re looking for somewhere unspoilt and completely off-grid then you’ve come to the right place. 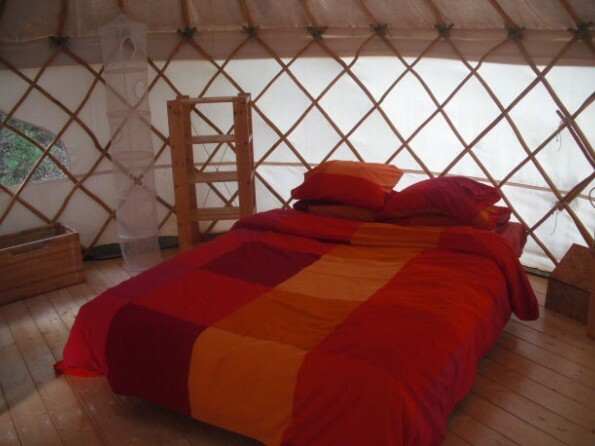 Set within 42 acres of sustainably managed woodland and bordered by two ravines, the yurt is part of a finca but is completely self-contained, and it puts you about as close to nature as you could possible get. 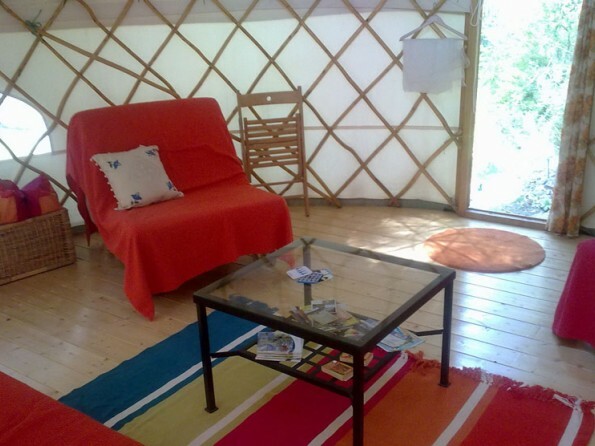 The yurt itself is spacious and comfortable, the grounds are diverse and the surrounding area is the ideal setting for walking holidays, bird watching or just getting away from the hustle and bustle. There is plenty to explore on foot, from abandoned villages and country lanes to river paths and woodland full of wildlife like foxes, wild boar and birds of prey. Eight miles away is the district capital of Graus which is known for its architecture and cultural events, and further afield you will find the rugged national park of Ordesa and Monte Perdido and the mountains of Maladeta and the Sierra de Guara. Make sure you enjoy some locally produced food and wine as well as one of the village fiestas, or there are plenty of more active outdoor pursuits to be enjoyed. 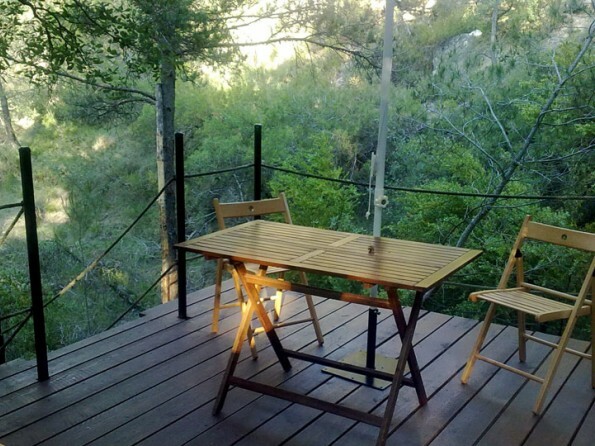 Las Guardias is situated 15km from the town of Graus and 100km from Huesca. Public transport is available as far as Graus and then the owners can pick you up. 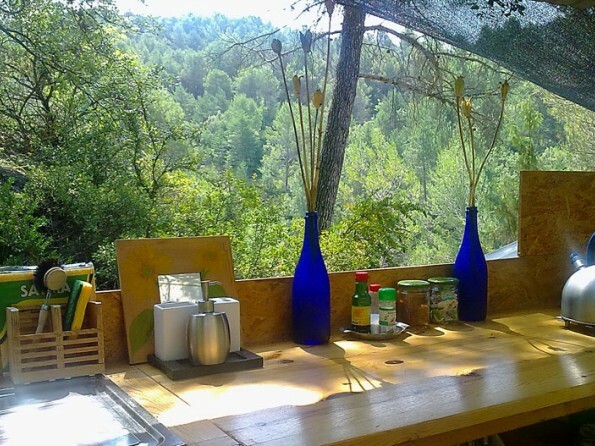 Guests can also be collected from Barbastro or Monzon for a small charge. Detailed directions will be provided upon booking. 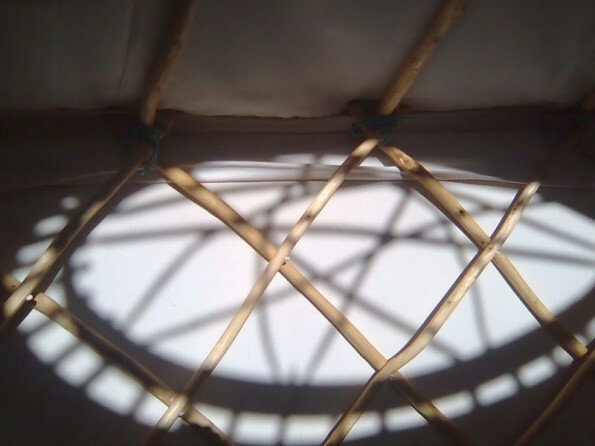 The yurt was built using traditional hands tools and methods and it measures 5 metres in diameter. 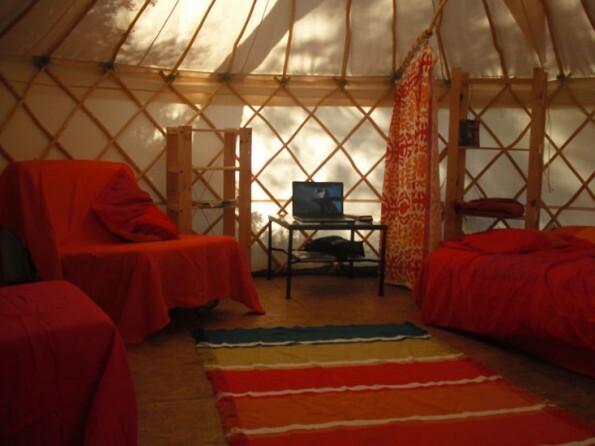 It is furnished to accommodate up to 4 people in one double and two single beds, and the site has its own solar power, water, shower and compost toilet. 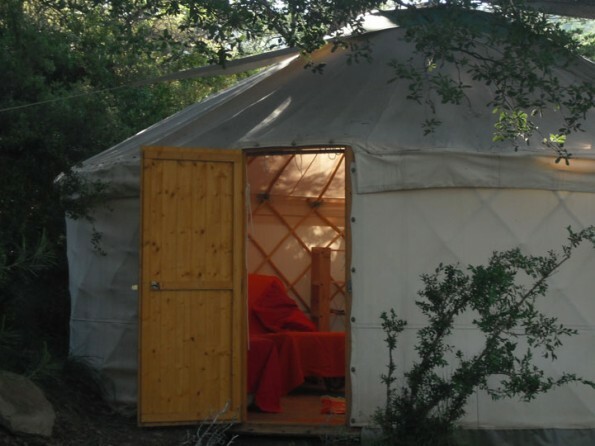 On a raised platform alongside the yurt there is a kitchen and dining terrace, and the 42 acre finca is home to several private footpaths as well as a large organic vegetable garden. 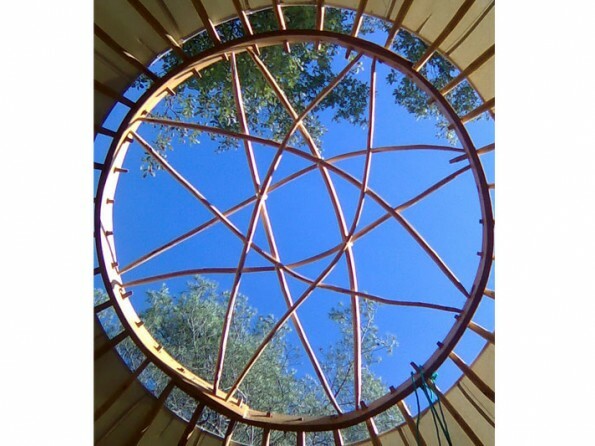 Workshops on ecological gardening, low impact living and arts and crafts are available in the season. Please enquire for prices and further details. The season runs from mid-May to mid-September and shorts breaks are available. Check out time is midday. A deposit of 100 euros confirms your booking. 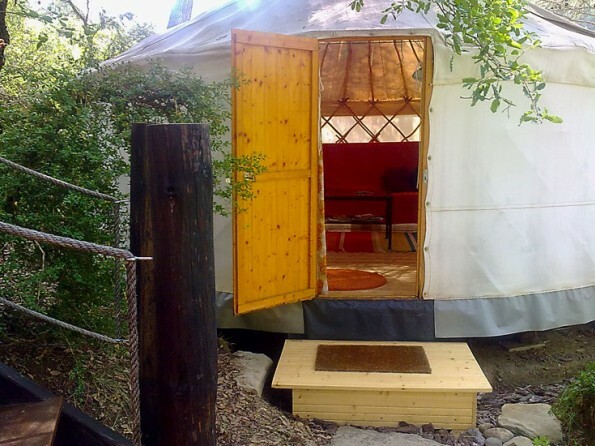 No smoking inside the yurt and no pets permitted. Please note that the property is not suitable for children under the age of 6 and access is by foot only.